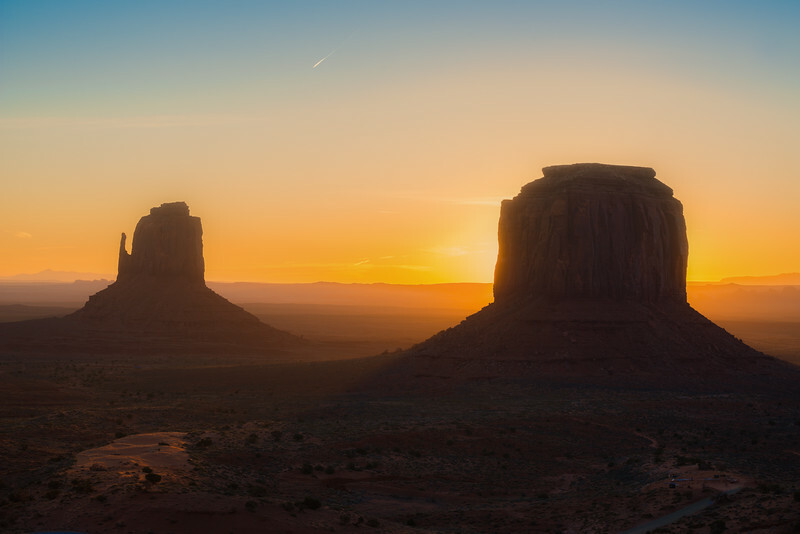 Everyone loves a good sunrise silhouette, and what better place to capture one than in Monument Valley. This is the sun coming up behind the Merrick Butte. 2017.